The mil-spec alloy includes about 5% Zinc and a trace of Indium to prevent oxidation resulting in a layer reducing the sacrificial properties of the anode. Provides more protection and will last longer than zinc anodes of the same size (up to 50% longer). 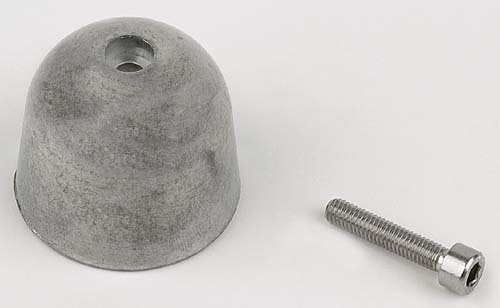 Less than half the weight of of a similar sized zinc anode. Provides superior support compared to zinc anodes in fresh or brackish water, while still giving excellent pro­tection in salt water, and is the only anode that is safe for all applications.